Iran has built a factory that can produce rotors for up to 60 centrifuges a day, the head of its atomic agency said on Wednesday, upping the stakes in a confrontation with Washington over the Islamic Republic’s nuclear work. Iran has said it will wait to see what the other powers can do, but has signaled it is ready to get its enrichment activities back on track. It has regularly said its nuclear work is just for electricity generation and other peaceful projects. “Instead of building this factory in the next seven or eight years, we built it during the negotiations but did not start it,” Salehi, said, according to state media. The factory would have the capacity to build rotors for up to 60 IR-6 centrifuges per day, he added. 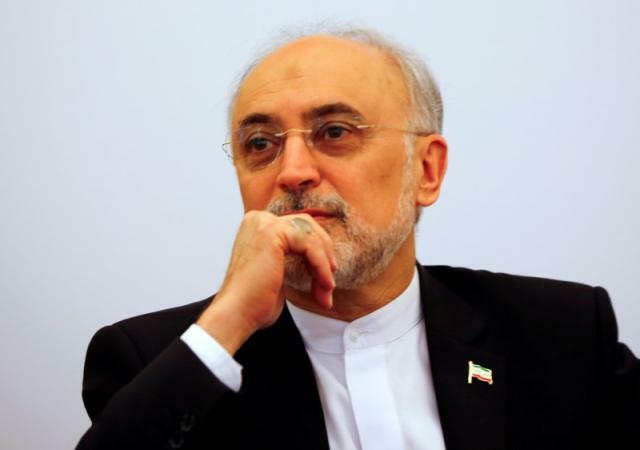 Last month, Salehi announced that Iran has begun working on infrastructure for building advanced centrifuges at its Natanz facility.